Glad you liked it, I'm going to try and take my daughters out to see Twilight this weekend! How fun! I tried reading book #1 but it just didn't grab me and I didn't care for the writing style. I've heard good things about the movie though so I might rent it when it's available that way. Having a son takes me to all sorts of boy movies. Quite a different experience. I always liked movies like Rocky, Superman, Star Wars, Alien and things like that. Unlike all the girls at school I never like chick flicks. I have actually never seen Dirty Dancing. Plus I loved any science fiction stuff or real kiddy movies. Animation movies I just love. Especially Japanese stuff. Just as well I had a son. The thought of having to see High School Musical 3 would make me want to vomit. Ha! 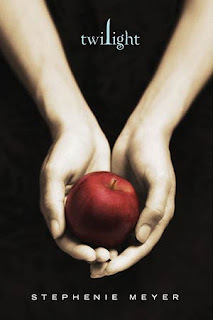 Count me in as one of the 30-somethings in love not only with Robert Patinson (Edward) but also the Twilight series. I want a boyfriend that sparkles! Seriously, I now have a somewhat unhealthy obsession with vampires. You are always hurt the most by those you love the most. It is a human condition.